CEOs are looking for employees to be strong collaborators and communicators while being creative and flexible. In short, they want and need strategic thinkers who can develop strategy and turn it into results. 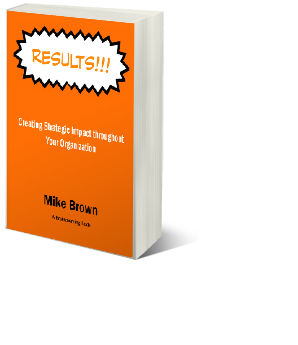 This new Brainzooming mini-book, "Results - Creating Strategic Impact" unveils ten proven lessons for senior executives to increase strategic collaboration, employee engagement, and grow revenues for their organizations.